Nurturing the next generation of Sri Lankan fashion designers collectively has been the key focus since the inception of HSBC Colombo Fashion Week. 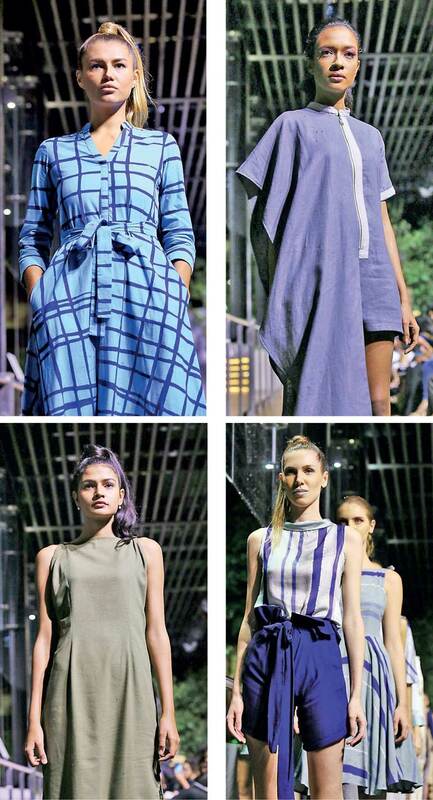 The potency of designers to follow in the coming years will determine the future of Sri Lankan fashion. The ‘Emerging Designer Showcase’ focuses on just that by honing the skills of young designers and providing them with a platform. Since the introduction of this platform, Colombo Fashion Week has witnessed an increasing number of designers who approach it annually with the intent of launching their career in fashion using it as their platform of choice. Over 90% of both established and up-and-coming designers in the country today commenced their journey in fashion with Colombo Fashion Week. This is a testament to the platform’s authenticity and commitment to engender a self-sustainable infrastructure for emerging designers. This year twelve young designers will be showcasing their talent at CFW. Among them, will be the launch collections of Himashi Wijeweera, Maddumage Nilusha, Achala Lee Koh, Nadeeshani Ratnayake and Rebecca Silva. In addition, there will be collections by designers who previously launched and showcased at Colombo Fashion Week Emerging Designer Showcase: Vathsala Gunasekera and Anushika Perera, who are showcasing for the third time, along with Poorni Wijesinghe, Dinushi Pamunuwa, Yathra Jayawardene, Marlon Rae, and Nayani Fernando. Each Emerging Designer who will be showcasing has been carefully mentored and guided through the creative process by the CFW team to help them hone their skills prior to producing each of their runway-ready collections for CFW Summer. Aside from being presented with the opportunity to understand the intricacies of how one of the four main fashion events in Asia function, the designers are enriched with the know-how on fine-tuning their respective brands and collections to better appeal to an audience which would be comprised of established designers, editors, buyers and influencers, both on and off the runway and particularly in terms of fashion retail. Many of the emerging designers have undergone extensive training under the Project 7 program led by Ajai Vir Singh that has significantly helped strengthen the ideation process of each participant leading to strong point-of-view development. This specialised program entails a series of workshops that provides participants with practical steps that fuel creativity and ideation from a new perspective. This season of Colombo Fashion Week will conclude with the Emerging Designers’ Showcase on 25 March at the Hilton Colombo. CFW’s title partner HSBC supported the development of the local fashion design industry by supporting this development-focused program. The Hilton Colombo, CFW’s hospitality partner, has displayed great interest in designer development over the years, extending their support towards CFW, making their partnership with CFW a befitting one. Each partner has been an important stakeholder and contributed in a significant and a relevant way to make this journey important and effective with their support and efforts. Ponds BB+ provide the make-up beauty looks for the last few seasons as the official Beauty Partner. They understood the needs of the fashion industry and individual personalities. Audi is the official Automobile of Colombo Fashion Week. Their strength in design-led performance is what makes them a brand that fashions performance globally. The Hydration Partner is OLU, known for their natural mineral water sourced from the cloud forests of Sri Lanka. Wineworld.lk continues to be the official Lifestyle Beverage Partner, providing the widest range of internationally renowned wines and spirits. The iconic Ramani Fernando has been part of this journey since its inception as the official Hair and Make-up Partner, Vision Care as the official Eyewear Partner, Serenia Residences as the residences partner, Leo Burnett Sri Lanka and MSLGROUP Sri Lanka as the official PR Partners, We Are Designers as the Website Development Partner and Emerging Media as the Outdoor Digital Media Partner and Hameedia – all who share and extend their support towards the vision and aspirations of CFW.